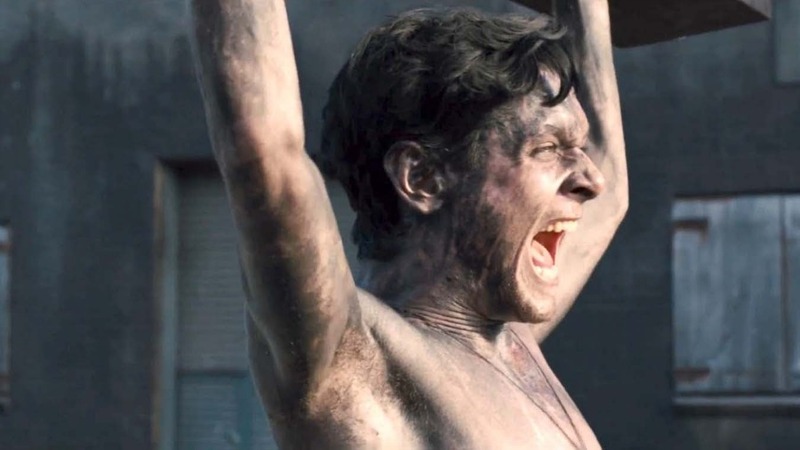 On paper, Unbroken is the kind of sweeping and emotional story that seems like it would sweep up Academy Awards. It is an incredible story at that, of Louis Zamperini. He was an Olympic runner who fought in World War II. He survived a plane crash and 47 days adrift at sea, only to be captured by the Japanese and become a POW, brutalized and tortured for years. It is based off of Laura Hillenbrand’s 2010 best seller, Unbroken: A World War II Story of Survival, Resilience and Redemption. The book is a soaring gamut of emotions, and will elicit tears of joy and sorrow. It’s a gripping read, and a could’ve been equally fascinating on screen. If done right. The book is quite lengthy and detailed, and understandably not everything can be put onto screen. However, the biggest fault of the film lies with the adaptation itself. There’s four screenwriters that worked on this, including the Coen brothers, yet they fail to tell any story. Just show. Some of the fat from the ending and after the war is trimmed and reduced to just end of film text. (Such as Louie meeting his wife, returning to Japan to revisit his captors.) Though this is no real big loss. The flashback of Louie’s childhood is a tad rushed. Most of Louie’s family is pushed to the side, reduced to mere background characters when they could have been the tethers for Louie’s survival. The film would’ve extremely benefited from scenes of the family worrying about Louie, giving the audience a lot more emotional pull. The biggest relationship of the film- between Louie and The Bird (the evil head of the POW camp who relentlessly tortures Louie) is not developed at all. While it could have been desensitizing to see torture over and over again, it could have also been very harrowing. Instead, these trials and tribulations Louie faces ends up being very “meh”. Which is NOT the reaction you should have for this story. The 47 days at sea sequence ends up being more terrifying than the POW camp. Unbroken is not necessarily a bad film. Louie Zamperini’s story is a compelling one, and even through this watered down version. The biggest flaws of the film are not due to Angelina Jolie’s directing. In fact, Unbroken is visually striking throughout. The fault lies with the writing. Unbroken should have, delved deeper into the characters, and fleshed out more of the story. The story is so moving, especially in the book. The film simply does not have the emotional resonance it could have, and does not reach the heights that Louis Zamperini’s story deserves.